Do you shop at thrift stores? I must admit, I’ve never had much luck with this. But I have been so intrigued by people who find great items at super cheap prices by shopping at thrift stores. One of them is my blogging friend, Jodie from Jodie’s Touch of Style. 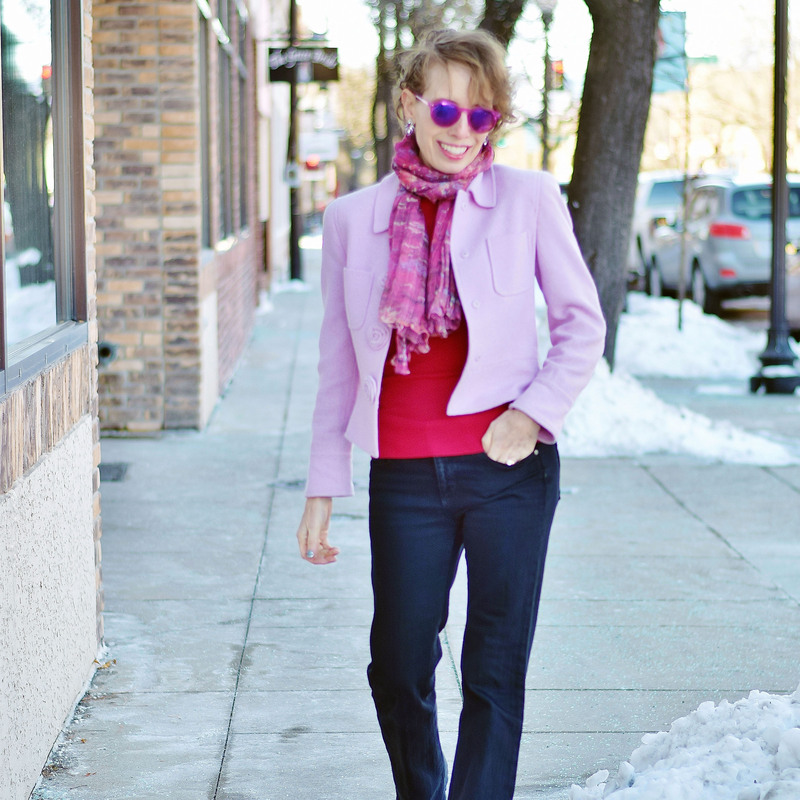 Jodie’s blog features her mother (80+ model) stepmom (60+ model) and her (50+ model). 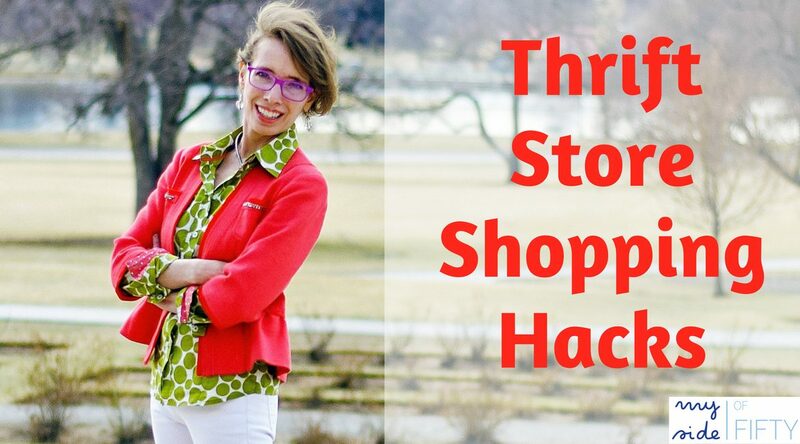 Today she is giving us her 4 Expert Thrift Store Shopping Hacks. I talked about my history with preloved items when thredUp was having their celebration of International Women’s Day, yet I’ve been thrifting far longer than I’ve been blogging. The first time a friend took me to a thrift store, I was amazed that you could get clothes that were almost new for such a great price. As a sale shopper, I’ve always been price conscious which is a trait that’s been handed down from my mother (the 80+ model on my blog). This way of shopping is truly a treasure hunt. If you are someone who doesn’t enjoy taking the time to shop or look through a mix of items, then it’s probably not going to float your boat. Yet I will say that taking a friend along can be the best tip ever. Many articles will tell you that a friend may push you into items of styles that you think aren’t you. However, I will say that this can actually help you be more successful in your shopping adventure. I feel that a second set of eyes can open you up to new and even better possibilities that you wouldn’t have considered on your own. Unless I’m the only one that gets into a rut with my clothing choices? Many years ago, you were limited to the second hand and consignment stores in your local area. However, now you can even enjoy them online with companies like thredUp, Poshmark, and eBay. (See Jodie’s tips on shopping at online thrift stores here). The advantage and yet disadvantage at the same time, is that each store will have different items. If you are shopping in a brick and mortar store, you are most likely going to be getting items that women in the area have donated. Keeping that in mind, it’s fun to explore the second-hand stores when you go traveling to a different place. That can give you an entirely different selection of goods. I like to say that thrifting can be feast or famine. Your favorite store may have a load of items one time and nothing at another visit. So the best thing to remember is patience. Do not expect to go to the thrift store with only 5 minutes to spare and be successful. Explore your area for places you never knew about. I have found secondhand stores tucked into a strip mall where I go regularly, yet I never knew they were there. I have a couple of tips for finding the things you need at the second-hand stores. First, have an open mind when you are going shopping. The worst feeling is to be going with a certain item in mind because rarely will that item be there. That’s where the online thrift stores trump the brick and mortar. You can search for a particular item on most online secondhand shops. That’s how I found my leopard coat on Poshmark. So I find myself having much more success if I go to the store with no expectations and ready to explore everything. That being said, I do think it’s handy to have an ongoing list of items you wished you could find. This isn’t like a grocery list which you will finish each time you go shopping. This will be one that you may or may not find the items for a year or two depending on the season and what is available. I keep this list on my phone in my notes. When I think of something I’d like, I add it to the list. And this also helps me when I’m shopping at retail stores too. Don’t discount items that aren’t the perfect fit. Because just like at retail stores, most of us should have 50-80% of our purchases altered to make them fit us better. I’ve learned this from my mother who was in professional alterations for years. You may think that it would be silly to spend money to alter an item that cost you so little in the first place. Sometimes, you can even spend more on the alterations than the piece. However, this is the ideal time to spend that money, because in reality, then the price of the full item including alterations is still affordable as long as it’s something you’ll wear a lot. Before you purchase an item or even consider having it altered, you need to examine the piece really well and make sure to try it on. Many consignment stores are dark or the fitting rooms aren’t well lit. It’s important to inspect the pieces thoroughly because these items aren’t new, and you can’t usually return them. In saying that, some stores have a return policy so it’s good to ask, and I know that thredUp is one of those. For example, I bought a maxi skirt at a Goodwill store and once I got it home, I noticed the bottom hem was dirty and worn. Luckily, I needed to shorten it anyway, so no harm done. But I will caution you to turn the item all around and even inside out to see what kind of shape it’s in before you buy it. Make a point to look around the entire store. I used to only check out the clothing items when I shopped at thrift stores. However, you can miss out on many fun accessories, or even home decor if you don’t look around. Now that we had our colors analyzed, I’m trying to be better about only getting new pieces of clothing that look great on me. I limit this to the tops, jackets, sweaters, and scarves that are going to be close to my face. Get 3 Fashionable Ways to Tie a Scarf here! One question I always ask when I pick out an item is do I already have this or a version of it? What I have noticed, is when we “like” something at the stores, many times it’s because we already have something like it in our closets. For example, my mother is a white blouse collector, and we’ve ascertained that she does not need another one for another 10 years. (That doesn’t mean she won’t buy one…haha). But it’s a good question to think about when you’re shopping. It’s only normal to like the items that appeal to you. Therefore you may already have one just like it in your closet. Before I started blogging, I didn’t know brands and labels very well, so I always just bought what I liked. And that’s perfectly fine. But if you like a certain brand more than others, then it’s great to search for that brand of clothing. For example, many women love Chicos or WHBM, and I’ve seen these brands often where I shop. There are even times you will find the higher end brands that you may covet, yet don’t feel comfortable spending the money on at retail stores. A couple of years ago, I came across a pair of Stuart Weitzman sandals at Goodwill for $7. They are a classic color and style, and I wear them to this day. This is the best time to find classic and non-trendy items. For example, I’m always on the lookout for a great striped shirt and gingham blouse. But don’t forget to check the men’s section too. If you don’t mind buttoning shirts the opposite way, this can offer you more possibilities. That being said, if you do spot a trendy item at the thrift store, this could be the time to get it. Just in case, the trend doesn’t stick around for long or you don’t wear it much after you bring it home, at least you didn’t spend a lot on it. Have you ever wondered if the high-end denim is really worth it? Well, this could be the perfect time to try it out, yet not pay the high prices. If you don’t know which denim is high end or not, you can always google the brand while you’re in the store and compare prices. I think this is the best time to purchase a special event dress or purse if you come across it. Most of our special event dresses or clutches only get worn a couple of times, so it feels like a waste to spend a boatload of money on these purchases. I found a metallic dress at Goodwill once that I wore to such a gala. I’ve even since learned to style it casually so I can get more uses out of it. However, even if I hadn’t done this, I wouldn’t feel so bad since I paid under $10 for it. A couple of questions people have asked me is whether everything is washed when you buy it at these stores. Most places ask you to donate clean items; however, I make sure to wash most everything when I get home. If an item is dry clean only, then I may Febreeze it or put it in the dryer with Dryel. Remember, that second-hand shopping can be a fun experience. Especially when you can find such great treasures at wonderful prices when you are thrifting. Not only are you saving money, but you are also helping out the environment by reusing items instead of having them go to the landfills. Jodie's Touch of Style is a family affair. 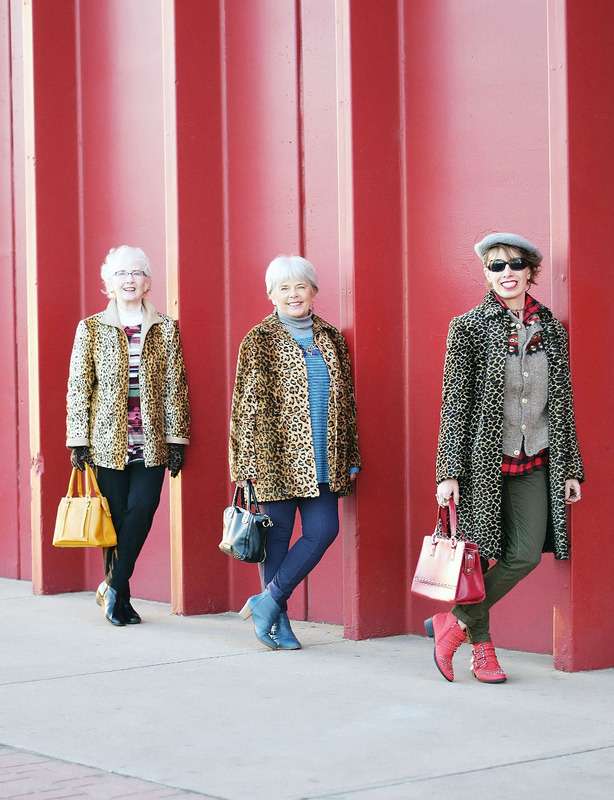 I showcase my mom, Charlotte (the 80+ model), my stepmom, Nancy (the 60+ model) and myself (the 50+ model). I truly feel like it's never too late to look great, no matter what age, size or budget. Thanks so much for asking me to write on this subject, Cathy!!! I just love shopping, so anytime I can help others is so fun for me!! So helpful, Jodie! I’m encouraged to give thrifting another try! Shopping and bargains – two of my favourite things! I’ve picked up some great things over the years. Jewellery can be fab too, tucked away. Great subject…I love vintage stores but have to confess to being more in love with the possibility of them than the reality. I have this idea that I’ll find the perfect jacket or coat or hat – even though I don’t wear hats & have little need for jackets. I’m like you, Sue – not a big fan of shopping. But I am really interested in giving “thrifting” a try using Jodie’s tips. Second hand shopping can be fun if you have the time and aren’t looking for something you absolutely need. I always find books there too! This was a really interesting look at thrift store shopping – I tend to get a bit overwhelmed when I walk inside one of these stores – there’s just SO MANY pieces of clothing and I feel a bit lost. Maybe I’ll narrow it down a little bit and also look online in future. I’d love to do this type of shopping more successfully! I’m like you, Leanne. I get overwhelmed in thrift stores. But I’m going to try it again using Jodie’s tips! What a nice surprise to find Jodie’s Shopping Wisdom here in your space, Cathy! I am a grumpy shopper, so these tips were great for my attitude as well as my skill level. 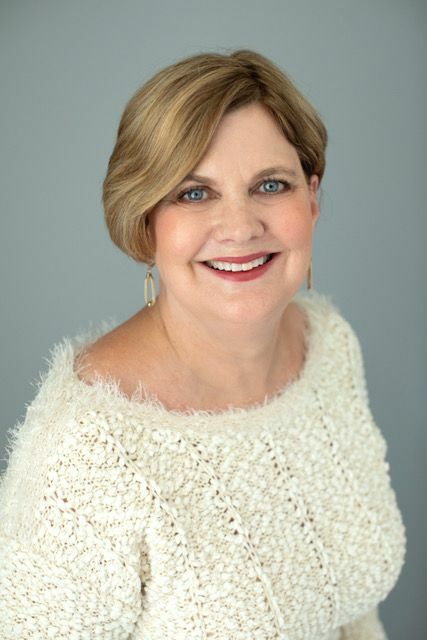 Michele – shopping for clothes is one of my least favorite things. But I may follow Jodie’s tips and give thrifting a try! Jodie I finally bought a couple of things from Poshmark and they were designer items that I wouldn’t pay retail for. lol We have a number of consignment shops that my sisters and I love to shop. Some great tips 🙂 Like you I always try to look for labels, and also good quality fabrics. Hi Jodie, I love thrift shopping too. You are so right about thrift stores being feast or famine. Some days I can’t believe how many great things I’m finding and other days I walk out empty-handed. That’s why I like going frequently, so that I can get the best stuff when it comes out. The good stuff never stays on the racks very long. 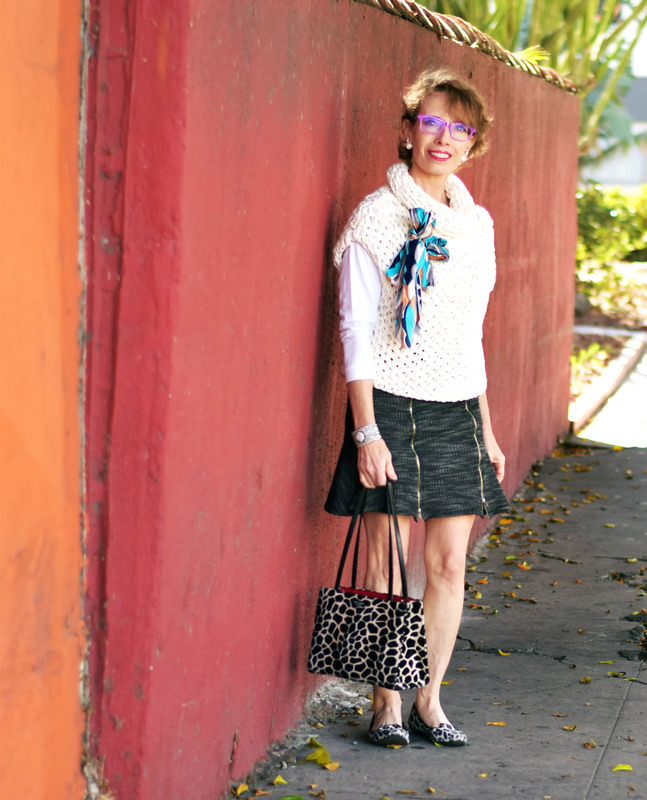 I love seeing your great finds, especially that leopard print coat! I thought that leopard print coat was fabulous! Great topic Cathy, one close to my heart and a pleasure to hear Jodie’s tips. 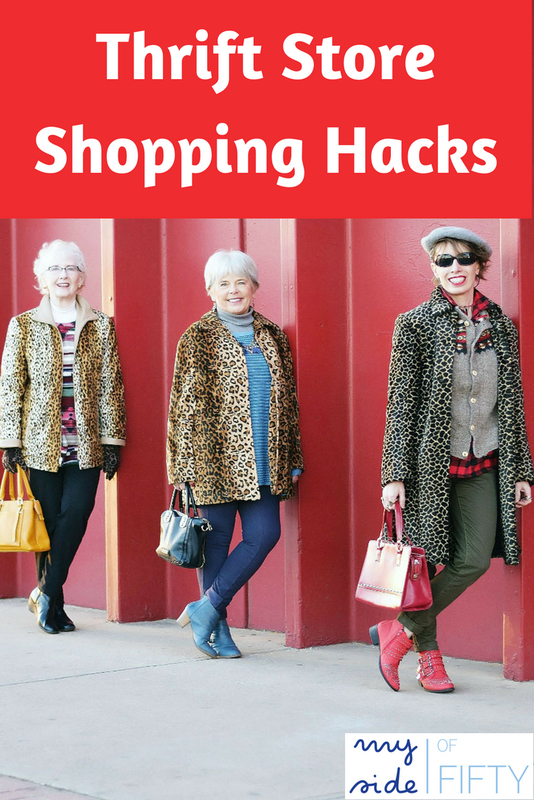 I agree with her shopping hacks! Knowing your labels really helps to get the most bang for your buck. Haralee, I’ve really started paying attention to brands, so hopefully this will help me feel less overwhelmed when I thrift! Charlotte – I hope Jodie’s post inspires you to get out there and do some thrifting again! This is such a great post! I loved every part of it! Great tips! I love to thrift shop so this helps! Trish – so glad you found the comment helpful! Yes, have no expectations !! that’s how I’ve come across the best finds. Great read from Jodie. Lorena – I thought so too. She has some great suggestions!